The vision of the MIT Process Handbook Project is the creation of a systematic and powerful method of organizing and sharing business knowledge. 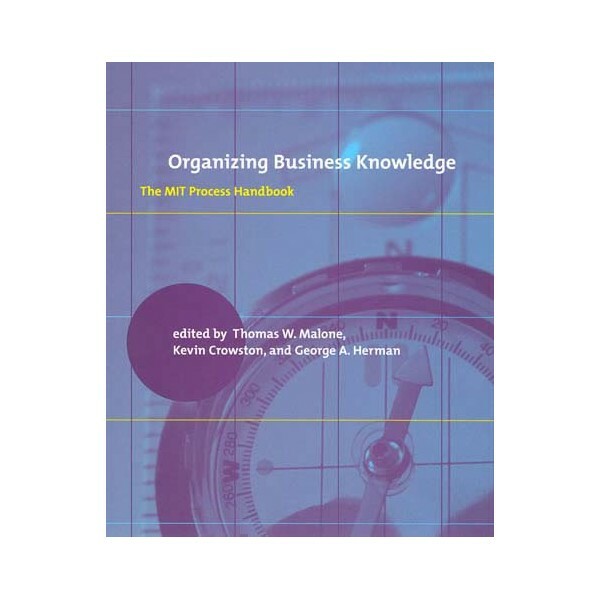 Organizing Business Knowledge: The MIT Process Handbook presents the key findings of a multidisciplinary research group at MIT's Sloan School of Management that has worked for over a decade to lay the foundation for just such a comprehensive system. It does so by focusing on the process itself. 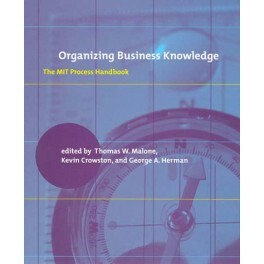 The book proposes a set of fundamental concepts to guide analysis and a classification framework for organizing knowledge, and describes the publicly available online knowledge base developed by the project, which includes a set of representative templates and specific case examples as well as a set of software tools for organizing and sharing knowledge.Organizing Business Knowledge: The MIT Process Handbook includes twenty-one papers, some previously published and some appearing for the first time, that have come out of this decade-long project. Together, they form a comprehensive and coherent vision of the future of knowledge organization. The Handbook is organized into five parts: an introduction and overview; the presentation of a theory of process representation; ""Contents of the Process Repository""; ""Process Repository Uses,"" which gives examples from both research and practice; and a conclusion, which maps the progress so far and the challenges ahead.